Chris is our Inbound Marketing Specialist. He spends much of his time creating and promoting content. Since day one, Chris has never missed a meal at the office. Most auto insurance providers offer certain discounts for teen drivers or offer plans based on the driver’s behavior, known as usage based insurance (UBI), to avoid high premiums based solely on age and other demographic information. However, we’ve yet to see an auto insurance company built around the needs of children at all stages of life. Free VIN Decoder Service vs. Paid VIN Decoding Solution: Which is Best for My Business? Aside from the obvious difference, one is free and one costs money, there is often confusion around how free VIN decoder services vs. paid VIN decoding solutions differ and why one might pay a premium. Each business has different vehicle data and VIN decoding needs, and while a free VIN decoder might do the trick for some businesses, others may have a need for a more comprehensive VIN decoding solution. 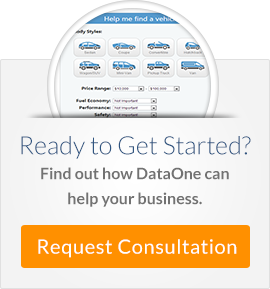 What Is the Right Trailer VIN Decoding Solution for Your Business? In comparison to passenger vehicles with currently 40 manufacturers, trailers are made by hundreds of manufacturers in North America and each has numerous configurations. Commercial VIN decoding solutions for trailers are rare because of the effort required to obtain this data as well as the differences in how the VIN is used. However, they do exist! In an industry based on accurately assessing and rating risk to maximize profitability, it’s essential that insurance carriers are able to correctly identify each vehicle they insure. This can be a challenging task to accomplish without leveraging a comprehensive vehicle data solution, especially as vehicles continue to advance. The handling of auto insurance claims has continued to improve from a consumer perspective, with relatively simple steps that can be completed predominantly online or through mobile applications. Many insurance providers, such as yourselves, have done an excellent job building out resources to help walk consumers, both policyholders and claimants, through each step for submitting a claim as well as educating the consumer in regard to expectations following a claim submission. Another article on digital retailing? In prior blog posts, we’ve discussed how the modern consumer shops for a vehicle, which research tools are most valuable, and how dealers can win over these consumers during the online shopping process. It only makes sense now, to cover one of the most talked-about subjects in the auto industry, digital retailing. Why are we talking about stock photos when it seems like everyone else in the industry is pushing for real vehicle photos? There's no arguing that real photos offer a better shopping experience for consumers looking at real inventory, even with new vehicles. According to Kelley Blue Book, 90% of consumers prefer to view actual photos over stock photos of the new vehicle(s) they are interested in buying. However, stock photos still serve a purpose in the automotive industry. There are a number of use cases outside of a dealer's inventory - such as vehicle research tools, marketing material, parts websites, etc - where leveraging stock photos by VIN makes the most sense not only to ensure professional quality images but also to save time. And though real photos are the best option for inventory, stock photos can suppliment a dealer's listings when the real photos are not available yet. It's been a while since I last experienced shopping for a vehicle. And I have to say, it's nice being in the driver's seat, seeing things from a consumer's perspective. My wife Christine and I just bought a pre-owned 2014 Honda Pilot to replace her 2013 Honda Accord that had been totaled by a drunk driver a few weeks ago. She was stopped at a red light… Folks, wear your seatbelts! Fortunately, she escaped any major injuries, but her car did not. Given the circumstances, we were forced to expedite the vehicle shopping/buying process. It was only 2 weeks from the day Christine’s Accord was totaled to the day we signed paperwork at the dealership for her Pilot.